They are not playing in Saudi Arabia or Zimbabwe. injuries sustained from beatings he received in military custody after the army’s intervention against President Robert Mugabe a week ago, his lawyer said, reports Reuters. 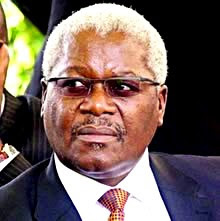 Lovemore Madhuku said Chombo had injuries to his hands, legs and back and was blindfolded throughout his week in custody. He was being accused of corruption and abuse of power relating to his time as local government minister more than a decade ago, Madhuku added. BTW: The colorful Zimbabwe money printer Gideon Gono, who is obviously a skilled survivor, appears to have played a key role in the Mugabe resignation. [In 1999], short of taxes and revenues raised from the export of crops such as tobacco, the government soon began to run out of money. Gideon Gono, then governor of the Reserve Bank of Zimbabwe, simply printed more of it. “Traditional economics do not fully apply in this country,” he said. “I am going to print and print and sign the money…because we need money.” Inflation reached 500 billion percent, according to the IMF, or 89.7 sextillion percent, according to Steve Hanke of Johns Hopkins University. Gideon Gono, Father Fidelis Mukonori, Mugabe spokesman and Permanent Secretary in the Information Ministry George Charamba, Robert Mugabe and Grace Mugabe. The former governor of the Reserve Bank of Zimbabwe, Gideon Gono, played a key role in negotiations that saw President Robert Mugabe finally resign after 37 years in power. 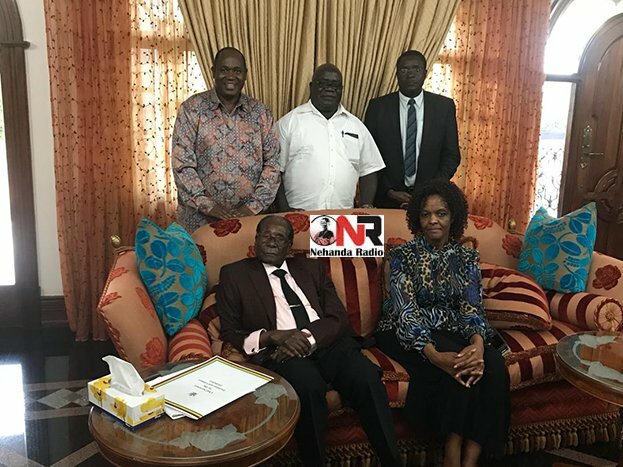 In an exclusive interview with Nehanda Radio, Gono confirmed that a picture he claims was “maliciously” leaked showing him with Mugabe and former First Lady Grace Mugabe, was indeed taken on Tuesday 21 November, 2017 from the “Blue Roof” private mansion that belongs to the former First Family. This was just after Mugabe had resigned in a letter to the Speaker of Parliament. “Whoever had leaked that one photo had ulterior motives but okay there you are!” Gono told us.